A couple of months back the Hewlett-Packard laptop that served me as a media player decided to leave this world for a better place (the recycling bin). It was February the 2nd, and that same day the Raspberry Foundation announced the all new Pi 2 Model B, with a much improved spec sheet. And no, I did not sabotage my own laptop just to find an excuse to buy a RPi2. The Raspberry Pi is a credit-card-sized single-board computer, the first edition of which launched on February 2012. Since then, more than 5 million of these little buggers have been sold worldwide. As technology moved forward, processors and memory chips got cheaper and cheaper, so today we find ourselves with a pretty decent hardware platform at the rather modest price of $35. Latest iteration includes a quad-core Arm Cortex A7 900Mhz processor and 1Gb of RAM, improving performance over the previous version by a factor of 6. The Pi2 also packs 4 USB 2.0 ports, HDMI and 10/100 Ethernet. Now it might not sound as much but trust me, it is more than enough to get you playing full high-resolution audio files including 2xDSD and DXD! On the menu: Raspberry Pie! One MicroSD memory card, 8Gb will be more than enough. Class 10 is recommended (though it will work with slower ones too). Make sure you have an adapter for the standard SD slot of your PC. One switching mode power supply (SMPS) that outputs 5Volt/2Amps. The Pi2 receives its power through a micro USB plug, just like the one that charges your cell phone. One plastic/metal case to house your Pi. Prices and quality vary from a few $ for simple plastic ones up to whatever you find appropriate and tasteful for your system. This is it. Estimated cost is a mere $75 with a plastic case and the SMPS included. Older versions required small heat sinks for the processor, but the Pi2 is much faster than the previous version so you will not be needing them. Even if you decide to acquire them, it will set you back less than $2. You might want to buy a WiFi USB adaptor, or stick with Ethernet cables. Though on my case the WiFi dongle worked fine some users report bugs with theirs so do check which ones are guaranteed to work prior of buying them. As a typical audiophile, I must admit to having an allergy in cheap “switching mode power supplies” so I took the dedicated streamer concept a step further by adding some extra topping on the basic recipe. Instead of the SMPS, I opted for a linear power supply with a 50VA toroidal transformer and housed everything in a black and silver aluminum case. Still below the $200 mark! Not sure if the linear PSU actually makes a difference in sound, but as I said, Wikipedia’s stub for “typical audiophile” has my picture in it. Have you noticed that something else is missing? There is no fan. No matter what you choose as a power supply you will not hear a thing coming from the Rpi2 box; it is dead silent. A huge plus on my book as even the most quiet PC is still noisy when compared to a fanless Raspberry. When you have everything in-house mount the Raspberry Pi 2 in the case, it takes a minute to screw it down and get the plastic cover in place just for safety. You are almost there. So we’ve got the hardware part sorted out, but we still need an operating system to play with. You might have noticed that when we made the ingredients list there was no monitor or input device such as a keyboard or a mouse for our Pi. In fact, our little streamer will run on what is called a “headless” OS. No, you won’t have to chop off anything; you simply do not need a dedicated input device. That is because all of the controls will be executed through your other computer — your laptop, mobile phone or tablet. Before that, let me tell you about our secret ingredient. Like in every other delicious recipe, there must be a secret ingredient; ours goes by the name of Music Player Daemon (MPD). MPD is not the usual music player software, not like Foobar, J-River or Audirvana as it does not come with a user-friendly graphical interface. xIt was designed as a server application for audio playback on Linux systems and with the right tweaking can become a formidable player. How formidable? Let me tell you that the best standalone streamers such as the Aurender X100L and Auralic Aries rely heavily on MPD (at least accordingly to the various forum discussions as the companies do not officially disclose what software they use. It would be hard to charge certain figures when consumers know that the backbone of the software used is free of any charge). The problem is that the necessary amount of tweaking is quite a task, not many audiophiles will ever be capable to make the nasty daemon work properly. Well, I have some good news for you, several plug and play solutions exist for the little Raspberry Pi. Depending on what you choose to install these operating systems require more or less end-user capabilities and offer various degrees of customization. I am currently using the latest MoOde (pronounced mood) and Archphile OS with the former being very intuitive (plug & play) and the latter being somewhat more tricky, designed for the initiated Linux user. Both are 100% free under General Public License meaning truly free of charge. No such thing as in app purchases or limited functionality. The first step is to download one of the operating systems. If you are new to all this try MoOde as Archphile will be harder to grasp in the beginning. Both files are zipped but still quite big, I suggest you use a download app in order to speed up the waiting time. When you are done unzip the content; you will be presented with a .img file. Download Win32DiskImager for Windows or PiWriter for Mac, run the program and select the .img file you just unzipped. As output device select the micro SD card. Make sure that the card is empty and nothing precious is stored inside because after creating your bootable OS everything will be lost! Press “write” and you have your operating system mounted on the micro SD, ready to use. Now insert the SD in Raspberry’s slot, connect the Ethernet cable, your USB DAC and power it up. The procedure up to this point is identical no matter what OS you might choose. MoOde (formerly known as TCMODS) is based on Debian (a well-known Linux distribution) and uses a custom version of the interface originally created by the authors of Rune Audio. The most important feature is the menu which will allow you to change preferences without typing a single string of code. It is as simple as tweaking your Windows or Mac favorite software. You can choose which DAC you want to use, buffer size during playback, DSD support and so on, then attach a HDD or your NAS and update your library. This is it. Operation, like in all Linux-based solution, is driverless; Up to now I have tested several well-known DACs including models from Marantz, Pioneer, Aune, iFi, Rockna, LH Labs, along with a few well-known DIY receivers, without having a single glitch. Archphile on the other hand is a solution for those who already know some of the things mentioned in the article or have the will to do some basic studying. The code behind this OS is based on Arch Linux, runs with the smallest CPU footprint imaginable (1% average CPU usage!) and at the moment this is the only MPD-OS that offers SACD .iso playback. In order to set it up you will have to use an SSH client such as PuTTY for Windows or the “terminal” app for Mac OS. With the Raspberry powered and connected via Ethernet on your local network you simply insert the RPi’s IP on the aforementioned SSH client, log in as root user (password is archphile) and you are now able to change the settings. First you can choose the output device, then you can add a series of file support options for the MPD, customize various playback aspects and so on. Both operating systems support UPNP, Airplay, web radios and I2S DACs that connect directly to the Rpi2 board such as Hifiberry and Iqaudio. I made several listening sessions with the Hifiberry+ and must admit that while not the ultimate in digital music reproduction it will definitely put a smile in your face when you take into account the cost, a staggering 30 euros! It would be out of purpose for this introductory article to go into details since both operating systems receive outstanding support by their respective creators, Michael aka Tux in the dedicated Archphile forum and Tim Curtis on Audiokarma and DIYAudio. For the trickier Archphile Michael has a well written Tips &Tricks section which I found very useful myself. As I have mentioned earlier what you have in your hands is a headless minicomputer, in our case built for one purpose only, to stream music. So how do you control it? Actually there is a wide range of options as long as you have your RPi2 connected in your network. Your main computer will do. It is quite simple actually; you can use the web application embedded in each OS or a standalone program. In the web browser (Firefox, Chrome, IE, Opera, etc) type http://archphile.local for Archphile and http://moode for MoOde and the user interface will automatically pop up (Windows user must install Bonjour, default on Mac). You can also type directly in your browser the IP designated by the router to your Raspberry (for example 192.168.1.X). This will open the user interface from which you can browse your library, create a playlist, pause, skip songs and everything else there is to do. Then there are several stand-alone applications that will work as well, I use GMPC on Windows which despite being rather ugly works very well even with huge libraries like mine. It will offer you some additional on demand features such as lyrics and artist’s bio details. The list of clients is quite long; choose the one you like most from here. For those who do not wish to use their computers any given smart phone or tablet will do just fine. The web app through the cell phones browser works here as well but some standalone applications are even better. Mupeace tops my Android preferences but nothing comes even remotely close to the experience provided by Mpod/Mpad, available for iPhone (free) and iPad ($2.99). This is very close (some say too close) to the Aurender experience which is probably the best commercially available interface. Check the screenshot, notice any similarities? As with every recipe it all comes down to one question, how does it taste or in our case what does it sound like? This is a highly controversial situation because in theory bits are bits and all software players claiming bit perfect reproduction should sound the same. Unfortunately we are in “audiophile” territory and not all pies taste as good. 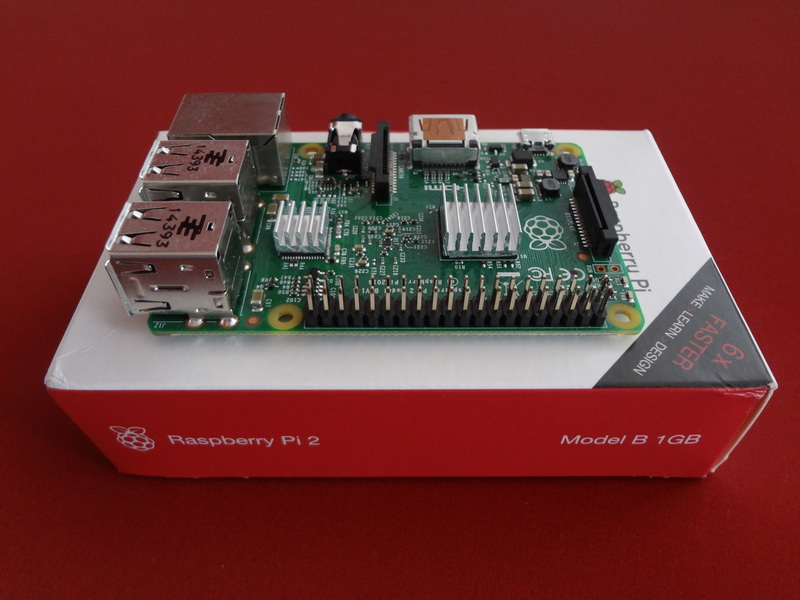 The Raspberry Pi2- MPD sounds like nothing else. Actually sounds like nothing. That is because it stands out as the most transparent player I have ever used. It adds nothing and it takes away just about the same. Are you familiar with the audiophile stereotype “a veil was lifted”? This is it. The first time I heard this combination I thought I was listening to another DAC. This “miracle” will manifest with all types of music but it is easier to perceive especially with acoustic instruments, voices and big scale orchestras. You are free not to take my word on this. Actually, I had serious doubts myself about the differences between playback software. But the evidence was all there. Foobar sounded different from Jriver. Audirvana was different too. I am not implying that one is better than the other, just saying that each seems to do the same thing in a distinct way. I doubt there are measurable differences but I still prefer the sound of my RPi2-MPD streamer. So let me ask you one question. How much have you spent in audio tweaks over the years? Spend $75 and build a Raspberry streamer yourself and let me know what you think. If following this little guide or doing as much as bolting four screws seems out of your league and you can afford spending a few thousand $$$ for your audio player, then I suggest you buy the AURALiC Aries or one of Aurender’s models. They come in gorgeous cases, have fully automated support with firmware updates and take care of the various issues that might arise in the future without you having to lift a finger. Hardware-wise, they are similar but not identical as they come equipped with lower jitter clocks for the I2S connection, LCD screens, additional outputs depending on the model and an overall build quality that makes my little Pi look like it was made by … well, me. That said, I have never gained so much in sound with such a modest investment. My recommendation? Sit back in your couch, take your tablet in hand, browse through the library and enjoy. The Raspberry Pi 2 is delicious! Since the writing of this article MoOde updated the GUI with the playlist now embedded in the playback window for a friendlier user experience. Check it! More of an update: Feb 29th, 2016 saw an update to the Raspberry Pi. Check that out, here. *The LH Labs Geek Out 1000 will work with the Raspberry Pi 2 only when powered from a dedicated source as it necessitates of more power than what the RPi2 USBs can provide. The 450 version should have no problems. Aluminum case with enough space for the Rpi2 + LPS + transformer. Keep in mind that drilling holes in anodized aluminum is not so easy, I took mine to a pro shop for a neat finish of the USB port. 5 Ampere voltage regulator module, more than enough for the Rpi2. It has worked fine for me but more expensive ones (better?) do exist. 50VA 2×9 secondary output toroidal transformer. If you are aiming at 5Vdc (and you are) you need a bit more from your transformer but not much more (as the rest will become heat), 2×9 is a safe bet. You obviously do not need 50VA which is too much, 30VA would be more than enough. Depending on your region you can probably find cheaper ones than what I have linked above. Be careful with the connections, if you do not know what you are doing ask someone to help. Don’t come back telling us you are now missing half a hand or you burned your place to the ground. Time flew and I found myself in Italy, studying medicine and listening to classical music. And as the musical tastes evolved, so did my hi-fi system. From Marantz, NAD, B&W, Rega all the way to ASR, ATC, Garrard and with a touch of DIY, I loved each and every single piece of hardware. Financial Interests: Pan is also a contributor to Enjoy The Music. And yes, he really is a practicing medical doctor. TIDAL is nicely supported in Max2play distribution – former Squeezeplug. You just nee to use Ickstream app available as one of the Apps ready to install and configure your TIDAL account. It works great! Panagiotis. have you got the specs of that toroidal psu? Can you buy it off the shelves? Thanks Chris, have you got the specs of that toroidal psu? Can you buy it off the shelves? Great article! I love it. Question, since I’m fairly new to the raspberry. I want to include a SSD as storage for my music. It needs to be powered separately. Can I use an extra of those Voltage Regulators and connect one of the 9V outputs from the transformer to it? Or does the Raspberry need the two 9V’s in the first one to work correctly? First things first, the Rpi needs 5V and not 9. When you buy a transformer you need the secondaries to be more than 5 but not much more as the rest would end up in heating issues, thus 9V is fine. There are transformers with extra secondaries but if I was a new comer in all this I would opt for separate ones, a small (20VA) for the SSD and a slightly bigger one for the Pi. The same regulator found on the link below should be fine for the SSD but you must check what is the voltage required for your specific model. You should calculate the secondary of your transformer for the SSD by multiplying the necessary voltage by 1.5 times or so. If you are not sure do ask a knowledgeable friend to assist you, there is always something risk. Thanks for your post. It was one of only a few I could find at the start of my RPi2-audio research. I have a HifimeDIY DAC into my NAD/Kef gear. I run plain Raspbian with fast wifi. I use Mopidy (extension of MPD), with torrented FLACs stored on and seeded from an SSD, and my Spotify playlists streaming at 320 kbps. Surprisingly, I have managed to avoid using a USB hub to power anything, even after clocking up to 1 Ghz. There’s a problem with NAD M51 – tried archphile, moode & volumio. All three can’t play via this DAC. Have you ever tried the M51 with Aurender ? In theory what works with commercial streamers should work with our MPD driverless operating systems. special file descriptors. The standard Alsa USB driver can’t cope with these. This has little to do with the community and NAD should implement proper USB compatibility. There might be a workaround but goes beyond my skills. I suggest you contact them directly. Excellent article, packed with lots of information. So many options, lot’s of room for tinkering. I totally agree with your conclusion: you owe it to yourself to try this out. It combines a Raspberry Pi B+ with a HiFiBerry DAC+, a Wifi dongle and a 64 GB USB stick in a nice package. It runs the Volumio software. It sells for EUR 169, all in. As Victor Sanchez and Audiofilodigital said, BubbleUpnP will let you stream content from your Android cell phone to the RasbPi which will eventually feed your DAC. Not exactly the same as controlling Spotify from within the OS but many might find this combination very interesting, especially for services that are not supported by any OS at the moment. Several similar apps exist for iPhone/iPad users too. Most of the MPD-based Pi systems, including Moode, have uPNP renderers (and DNLA servers) built in – Android doesn’t need BubbleuPnP specifically – there are about a hundred uPnP and DNLA apps that allow redirecting audio to the Pi. For the iOS users, Moode also has an Airplay-compatible receiver, which allows streaming straight from your favourite Apple app (albeit at lower quality, thanks Apple!). If you really want access to Spotify and the other main streaming services, look at Volumio, MusicPlayerBox and the other MPD-based R’Pi solutions. I have half a dozen R’Pi’s doing duty for everything from managing my 3D printing to serving up streamed video to various screens round the house – and on a number of amplifiers (and in one case, with it’s own built-in Class-D amp) as streaming clients and have, over the last few months, tried all of the mainstream MPD implementations and find, despite a few glitches here and there, that Moode is by far the best of the bunch. Volumio has more users, but that says nothing about the product quality. And if you want a very big step up try mating a Voyage MPD-powered Pi2 via I2S to a Soekris DAM1021 R2R ladder DAC. Now you’re in an altogether different league – with the ability to change digital filters, balanced or single-ended output, onboard digital volume control and an FPGA that buffers and reclocks the incoming data. Which takes care of the Pi’s Achilles heel, it’s clock scheme. Total package can be done for under $300 if using the $170, .05 version of the DAM1021 and, some say, cannot be beaten for under $4K…..(apologies, Mr Clarkson). Yes, it’s not plug n’ play but it’s very little more work than the above and there’s plenty of support. As for vfm….knocks the concept out the park. Actually I have tested my Rpi with several DIY receivers and a couple of Soekris DACs which despite some minor flaws are a great vfm especially when considering the fact that no commercial R2R dac comes even close to what the DAM modules cost. As for the Rpi clock scheme issue, I agree 100%. My current digital front end consists of the Aune S16 and the Rockna Wavedream DAC, both have a FIFO buffer built around FPGA chips and both work marvels with the Rasp, independently from the embedded high jitter clock. It should be possible to get Tidal via Google Chrome, if the version of Linux you’re using is compatible with that particular browser. Linux is a mystery to me but I’m using Google Chrome to stream Tidal on my windows laptop and it works perfectly. If one doesnt want to get their hands dirty to solder the PS unit, you can get a decent one for pretty much the same price pre-fabricated. Thanks for a great post. Can’t wait to try to build a simple music streamer: incidentally, can one stream music from TIDAL or Spotify, and how does one actually do this? Does one have to download special software? Also, with regard to the linear PSU, what is the yellow wire doing at the IEC inlet? Is that the ground (earth) wire? Do you use a switched IEC inlet or is it always on? Many thanks for your help. Tidal is not yet supported (as far as I know. When I tried to contact them asking for a possible future implementation I got no reply whatsoever). Yes, I have a yellow ground cable heading to the chassis, mostly as a precaution. IEC is switched + fuse holder. I leave it on for days with no problems so far (been a few months now so it should be fine). Spotify is supported by some operating systems but not all, at least for the moment. As this is Linux, once a developer creates a package for spotify others follow and implement the package in their distributions. There is not much you can do here, as the operating systems are tailor made to play only music, so you cannot add a program like with classic OSs such as Windows or MacOS. Unless you are a linux programmer you will have to wait for the option to be added by the OS designers. At this moment Volumio supports Spotify (only premium though) and I am told that Runeaudio also supports Spotify premium. I have not tested these two recently but do give them a try, the rest of the procedure on how to create the bootable SD card along with the hardware is identical. As a matter of fact you can have more than one SD card and play with several OSs at the same time, choosing the one that fits you most. I would also like to emphasize the nice selection of web radios in both Archphile and MoOde, some stream up to 16-44.1 FLAC meaning Tidal quality for free. So better than Spotify premium quality and for free. Of course you cannot create your playlists or listen to songs on demand but you can eventually add your fav radio station. Yep. You can if you have an Android phone, for instance: try BubbleUPnP (https://play.google.com/store/apps/details?id=com.bubblesoft.android.bubbleupnp&hl= ). : Your Rasp. will be seen as a UPnP device (you must activate that function… IF available in the set-up, whatever the soft want to install). Once you have selected the Rasp as the “renderer”, you must select the source: TIDAL is available there for Premium accounts. Spotify: it is included in several of them. Pretty much all RaspPi operating systems support UPnP along with air play, so one can always stream what ever he wants from his main computer to the Pi including Tidal, Spotify and even the music stored inside the aforementioned computer. In this case the Rpi is not completely autonomous, it only feeds the data coming from the main PC to the DAC. Nope. You don’t need any “main pc” around. Tidal is included as “source” in BubbleUPnP Android soft. as well as your music saved in different clouds. In short: no pc is necessary at home, except the Rasp itself. Nor for Tidal, nor for Spotify, nor for Internet radio, nor for music saved in several clouds (already mentioned: Dropbox, OneNote, etc.). Nope. You don’t need Tidal to be installed at any pc at home. BubbleUPnP already includes Tidal (you just have to log in with your registered name&password), as well as direct access to your Dropbox, OneDrive, Google Music, Google Drive, Box, account. This is great at it allows you to stream having the “source” available (those 24/192kHz files, too) from everywhere. Case: bought mine on ebay, you can search for “aluminum case amplifier”. Make sure it is big enough for the LPS and all boards. No heatsinks are required. Many come with pre-cut IEC inlet so all you have to do is open a small window for the USB ports. I had it done in a local machine shop with CNC for better aesthetics. Price depends on finish. Great post. I think it would be a lot of fun to build one of these servers. Could you please list the exact hardware (e.g. case, power supply, etc) you used and where to purchase it? Thanks for the review, what case with the “linear power supply with a 50VA toroidal transformer” did you get? What was your source for the case, transformer, and linear power supply? I am new to this computer audio, but I managed to put together a RPi2 as described over on ComputerAudiophile with Volumio. Good instruction set. What a wonderful bit of kit this is. I use powerline ethernet with iFi Nano to get DSD into the back bedroom now. The return on investment for this music streamer is sky high. Sounds terrific. Tnx Chris. The thing is that you don’t have to be a seasoned pro to get the Rpi working and the vfm is beyond compare. Love my Raspberry!